Click the "Disk Manager" node on the tree; you can see all the disk drive you have connected to your Server. The new “Disk Manager” also shows the performance of the disk in your server. Disk: Available disk drives on you Server. 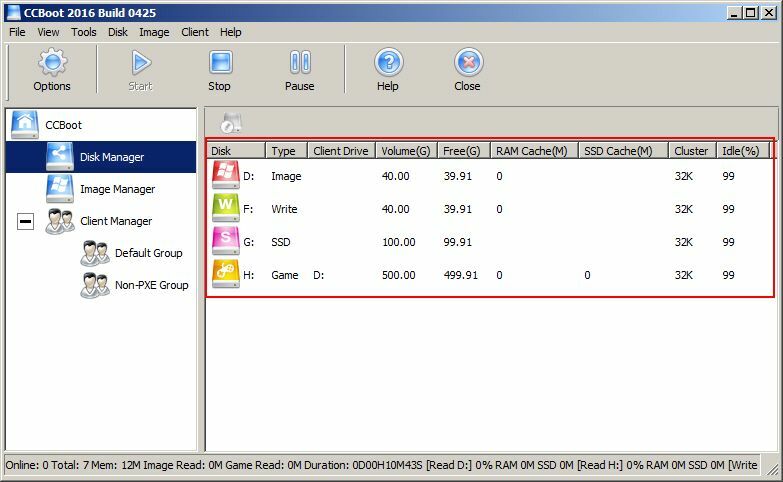 Client Drive: Game disk driver letter in client PC. Volume (G): Shows the size of the drive in GB. Free (G): Show the amount of free space available of the drive in GB. Click the "Image Manager" node on the tree; you can see all the images you have added in your Server. The new “Image Manager”also size of the image as well as the last updated date. Note. 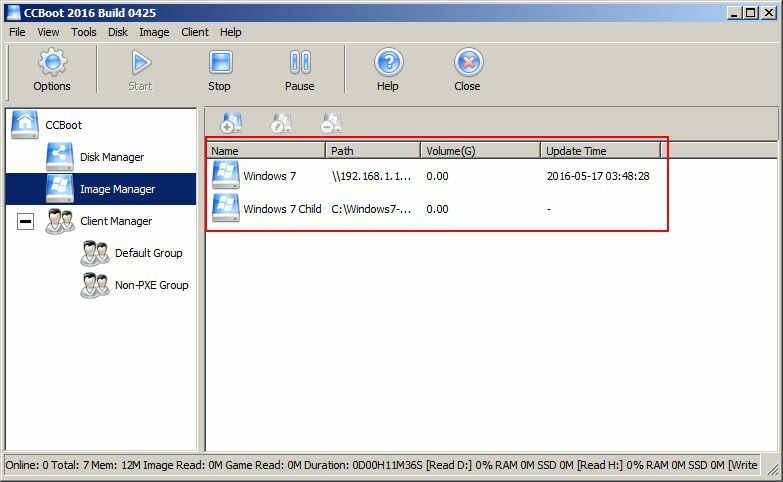 Updated date is shown only if the image has recovery points. Computer Name: The computer name of the client. MAC Address: The MAC address of the client. IP Address: Server assigned client IP address. Gateway: Gateway assigned to the Client. Read: The amount of data read by the client. Read Speed: Read Speed of client data. Write: Amount of Write-Back data from client. Write Speed: The client Write-Back speed. Uptime: Displays client’s up time since client DHCP and PXE download. Boot Image: Displays the client’s boot image. Boot Server: Server's IP address. Enable: Allows the client to boot from the server. GPXE: Displays the PXE file name. Write-back Path: Write-back path of the client. Client Cache: Client writes cache at local. RAM: Displays client’s RAM size.